The biggest, most persistent problem that Salesforce customers have has nothing to do with Salesforce itself. Rather, the problem is the sales reps are too busy selling and therefore data collection suffers. Reps should log all their sales activities and updates in Salesforce, like when they do a demo or meet a customer, as well as when something changes like expected deal size, closure date, or competitive info. Logging all these activities gives sales managers and execs a thorough view into the full pipeline. They can see the status of each deal and more importantly they can project sales revenue for the next couple of days, months, quarter etc. 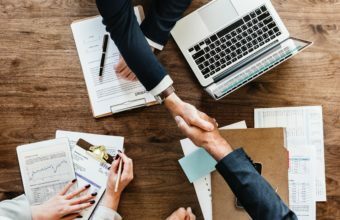 These projections are critical for sales management and execs who need to understand where they can expect their business to be and therefore take proactive actions to maximize sales or stop the company from missing sales targets. The thing is, reps are busy selling and never keep their deals updated beyond the big stuff like a new lead coming in and when the lead is closed. That means all the intermediary information which is critical to projecting how the company will perform in the coming months or quarters is poor. This leads to terrible operational visibility into developing sales problems and hinders the ability to go fix them. We of course also have this problem, so we created a Deal Desk right inside Slack. Using Workato integrations, we created a set of recipes to make it super easy for our sales reps to update even the smallest changes into Salesforce straight from Slack using buttons, drop-down lists, and simple commands. 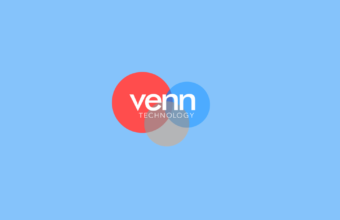 Our Sales Team no longer has to go into Salesforce, navigate through lots of pages and individual records of each deal to make laborious updates. Instead, Slack functions as a centralized Deal Desk. where updating a deal status takes 10 seconds from Slack. Enabling functions from Slack makes a lot of sense – it’s where our sales reps are already chatting with fellow reps and sales managers about prospects, plans, and collaboration. The first function of our Deal Desk helps increase Salesforce opportunity updates. In order to incentivize our sales team to update their status’ in Salesforce, we created a workflow that allows reps to view their pipeline on demand in Slack. The Slack message contains a list of the rep’s open opportunities and prompts them to update these opportunities. The updates can be done right in Slack by simply clicking buttons. To update an opportunity, the rep simply selects which opportunity they want to update from the dropdown list, which triggers the update opportunity flow in Slack. It will ask the rep for stage, probability, plan, and competitor updates—all which can be done by clicking buttons inside of Slack. Providing a list of users with open opportunities every Friday. Providing a list of user with open opportunities on-demand. Callable recipe that both (1) and (2) call for the main logic of this process. Update opportunity recipe with buttons. Sales reps can also use Deal Desk to get more information on prospects and customers without ever leaving Slack. The “report transactions” command will pull up the usage history of any user given an email address or Workato user ID. Reps can use this command to look into usage statistics of a prospect/customer before or during a call. Likewise, the “report connections” command gives reps a list of app connections in an account or group of accounts given an email domain. This command is very useful, because reps frequently need to know whether a prospect is using certain apps. If a rep creates an account in Salesforce but doesn’t tag a domain to the account, Workbot will present a list of probable domains and ask if they would like to add any of those domains to that account. Adding these domains will allow other automation recipes to pick up new leads matching those domains and add them straight into the account as contacts. Sometimes, sale staff may need a little more assistance with a prospect. Often, this help is technical in nature, so we wanted to give the sales team an easy way to request CS and Product team resources—without leaving Slack. Reps can use the “show expert” command to haveWorkbot suggest which CS/Product resource is the best person for the situation. Similarly, the “request CSR” command will guide the rep through the process of requesting CS resources. Tracking demos sales reps gives to leads is another pain point our Slack Deal Desk solves. We use Calendly to schedule demos with our account executives and CS team, and RingCentral to conduct the demos. All notes on the demo and the lead are supposed to be logged in Salesforce. With so many different apps in use for this single process, we found that reps often forgot to log notes on the demo as it would require them to log into Salesforce manually. This made it difficult to track demo progress as there was not always a record of when a demo was conducted. Though we could see how many demos were scheduled via Calendly, we had no way to track how many of those scheduled demos were actually conducted (sometimes the lead cancels or doesn’t show up) or how many of those that were attended converted. The first step to solving this problem was creating some Deal Desk recipes to make it easy to track which Rep gave the demo using their RingCentral ID and to make logging the call after it occurs straight from Slack into Salesforce incredibly easy. Each RingCentral user has their own special ID number. By adding each rep’s unique ID number into the Calendly link’s UTM parameters we can track who the lead is scheduling a demo with. Calendly tracks any demos scheduled with a UTM source, which makes it easy for our recipe to record scheduled demos in Salesforce in real time with the RingCentral ID recorded in a custom field. This tells us who is doing the demo thanks to the RingCentral ID, which allows us to compare how many demos each rep is completing and how many are converting. If a sales rep has scheduled meetings through Chili Piper, Workbot will ask about the status of the meeting 15 minutes after the end of the meeting. If the meeting was booked by someone else on their behalf, the booker will also receive a notification on the status of that meeting. In Salesforce we have another custom field that holds the time of the demo. Our recipe knows to trigger one hour after that time. The recipe sends a notification in Slack notification to the person who gave the demo asking what the status of the demo is. The rep can simply click on buttons and use drop-down menus to update the status inside of Salesforce without ever leaving Slack. Depending on what kind of team member gave the demo, they will be prompted with different follow up queries from Workbot. If it is a member of the Customer Success team and the lead they demo-ed also has a JIRA issue open, Workbot will ask if they want to update the JIRA issue. If they update the issue using the drop-down menu, it will automatically be updated in JIRA. If a Sales member gave the demo, it’s likely that the lead is not recorded in Salesforce yet, so Workbot will prompt them to create a new opportunity in Salesforce, which they can do directly from Slack. Sometimes demos are not created through Calendly (for example impromptu demos on a support call) so we created an automation that allows the rep to log their call right from Slack using Workbot. The rep simply opens up a chat with Workbot, and types “log Salesforce demo.” Workbot asks for the prospect’s email address, and that’s it. No more logging into Salesforce at 4pm to record the morning’s activities. If the representative wants to add more information, they simply can click the “Update Opportunity” button, and a simple, interactive list of buttons appears where the user can choose what stage the demo was at, how many days to close, and the plan that the prospect might join. Before we implemented this set of recipes, we noticed that less than 10% of our sales demos as tasks were being updated due to the busy schedules of our account executives (AEs). Also, about 80% of all the tasks scheduled outside of Calendly were not logged in Salesforce. With these Deal Desk recipes, all completed tasks were updated on a timely basis and greatly improved the data quality in Salesforce. After implementing these recipes, our activity recording increased by more than 300%. Perhaps the most unique aspect of a Slack Deal Desk run by Workbot is being able to carry out secure approval workflows inside of Slack. When sales deals are being made, there are often price adjustment requests. The number one enterprise collaboration tool uses Workato and Workbot to securely approve price adjustments inside of Slack. A group of managers must approve all of these requests and they wanted to be able to easily approve or reject without logging into Salesforce or flooding their email inboxes with request notifications. 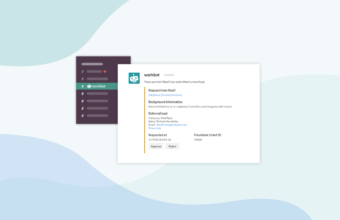 Workbot for Slack was the only bot for the job, as its feature Verified User Access ensures that only the managers who are authorized to approve or reject these requests have the ability to do so. Verified User Access allows you to take actions inside of other apps from Slack—in this case, Salesforce—but requires that you authenticate by signing into your Salesforce account so that it can check if you have clearance. Now, sales reps can request certain deal terms in Salesforce from Slack. Workbot puts those deal terms into the correct Salesforce account and triggers a price request. The request goes to a specific Slack channel. A manager clicks “approve” or “reject” and Workato does Verified User Access to make sure the person who is acting is qualified to take this action. This ensures that sensitive activities are not carried out from Slack by unqualified people. This Workbot Deal Desk workflow takes work collaboration to the next level. It provides the needed level of security while making collaboration between people (reps and management) and apps (Slack and Salesforce) a seamless experience. Ready to transform your sales team with a Deal Desk? Find out more about how we did it.